ECHS Student Ogechi Hubert noticed a staggering lack of people of color in environmental fields. Her answer? Gravel to Green, a program aimed at tackling the issue by providing the opportunity for students of color from South Los Angeles to experience California State Parks. Through a series of field trips to California State parks, the program provides an outdoor learning opportunity at no cost for students and their families that might otherwise not have the opportunity to experience the splendor of the California State Parks. At Environmental Charter High School (ECHS), students are challenged to identify a social justice in which to engage in a year-long effort beginning their junior year. The senior thesis includes an extensive research paper in addition to an applied research civic action. This capstone project challenges our students to bring their learning to life in a tangible and change-focused way. 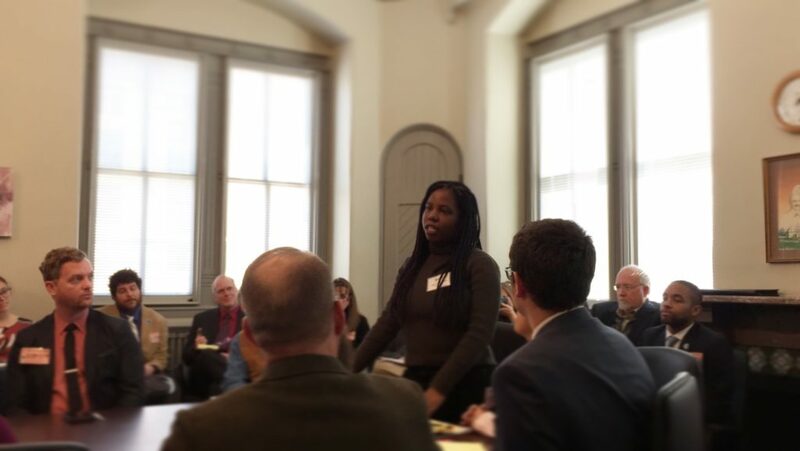 Gravel to Green is the civic action element of Ogechi Hubert’s senior thesis. Compelled by the lack of diversity in environmentalism, Ogechi created Gravel to Green, designed to combat this problem by taking lower income students of color from local high schools and their family members into green spaces. These trips will help families in our local community experience Los Angeles parks and discover the incredible local opportunities for recreation, adventure, and discovery that lie just half an hour from their doorstep. Trips will include Malibu State Park, Eaton Canyon, Abalone Cove and Bolsa Chica State Park. Through this program, low income students of color and their families will be able to experience our local parks and the environment. With that, students like me will be inspired to become leaders by taking ownership and lending their voice to the environmental movement." says Ogechi. Ogechi became inspired to work on these issues after volunteering on the Pacific Crest Trail to maintain existing trails with her classmates. She had the opportunity to travel to Washington, D.C. and share her experiences working on the PCT and advocate for its protection along with public land on Capitol Hill. She spoke to a roomful of policymakers that included representatives from the Department of the Interior and the Forest Service, as well as local representatives U.S. Congresswomen Maxine Waters and Loretta Sanchez, among others. What Ogechi is doing reflects the larger Environmental Charter Schools experience: students participate in hands-on learning and then are given the tools needed to take action and make a local impact on their own campuses and communities. ECS has story after story of students doing this, from creating a campus Bike Shop and Sustain-a-Store to the development of the ECHS Book Joint as a response to student needs, which then turned into the school library. Click to learn more about Gravel to Green and how students in the South Bay can sign-up.